Completed 2007. 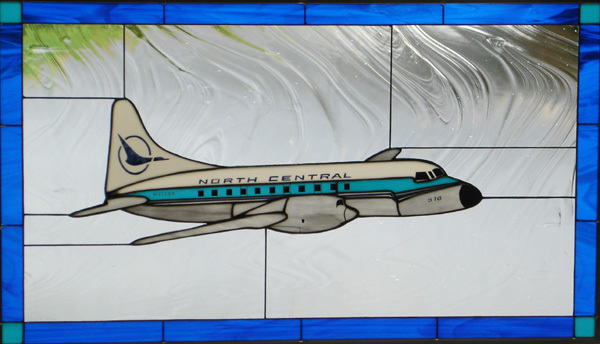 One of North Central’s ‘Northliners,’ the 580 was the airlines last turbo-prop model. This panel shows the plane in ‘baroque’ glass background.